Chicago is full of fashionable residents and tourists. 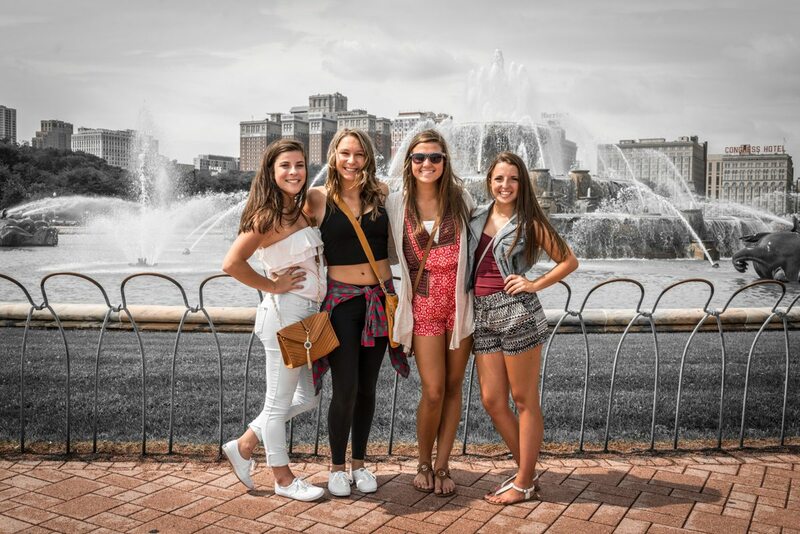 On a beautiful Saturday, Buckingham Fountain and the Riverwalk are perfect spots to enjoy summer (in style)! This weekend also marks the 56th Annual Chicago Air & Water Show so the beaches and lakefront are hopping with aviation enthusiasts.